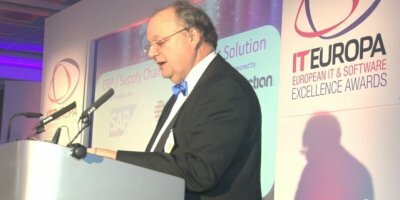 The finalists for the European IT & Software Excellence Awards 2015 (www.iteawards.com) - the leading pan-European awards for ISVs, Solution Providers and Systems Integrators and their vendor and distributor partners – have been announced by IT Europa. A total of 83 companies from 32 European countries have made the finals. The winners will be announced at the European IT & Software Excellence 2015 Awards Dinner at the Lancaster London Hotel, on 25th March 2015. With record numbers of entrants this year and the highest quality of project submitted, the European IT industry is demonstrating a new-found confidence and a widening range of abilities. In the list released today of finalists in the awards, there is a wide range in the sizes of company, technology approaches taken and entries from all parts of the European region. The European IT & Software Excellence Awards are the only pan-European awards which recognise the crucial role that ISVs, Solution Providers and Systems Integrators play in the delivery of real world solutions. Entries were submitted by the ISVs, Solution Providers and Systems Integrators themselves describing the solution provided. Each entry had to be supported by an endorsement by the client. There were eight categories for ISVs and eleven categories for Solution Provider solutions spanning all major customer and solution segments, from SMB to large enterprises and the public sector. In addition to the ISV and Solution Provider categories, there are seven supplier categories for which ISVs and Solution Providers have nominated distributors, hardware and software suppliers, communications, hosting or business services providers for the support they have provided through their partner programmes.